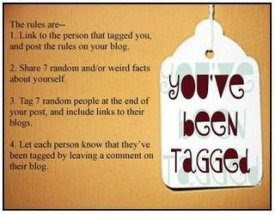 The tag asks for seven random facts and/or weird facts about me. 1. I am a woman with sensitive feelings, very affectionate, kind and considerate. 2. I love gardening, by taking care of flowers makes me feel good and it's my way of relaxation for healthy lifestyle. 3. I am very supportive in terms of my son's education financially. 4. I am very sweet, loving, caring, generous, helpful and thoughtful sometimes. 5. I love to hang out with friends go shopping, swimming and going beautiful places. 6. I am very efficient and devoted to my work and I did my best for good result. 7. I love reading interesting books, watching game shows and blogging.